Polyphenols are found in many plants and fruits, and their antioxidant properties have been well studied. Red wine is a rich source of dietary polyphenols, with multiple studies providing evidence that these compounds have health-promoting benefits, and may also impact on gut microbiota. 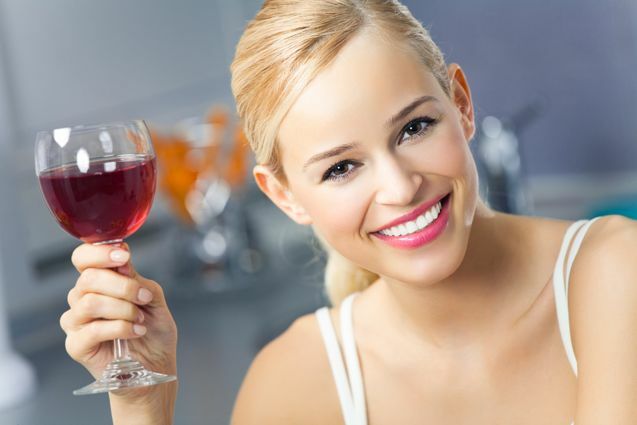 What isn’t yet understood is whether polyphenols, such as those in red wine, can also have a positive impact on oral health and oral microbiota. The oral microbiome contains more than 700 species, most of which are located in dental plaque, the authors write. The species vary as a result of environmental stimuli, including diet or oral hygiene, which can easily change the natural balance between commensal and pathogenic species. Species of bacteria that erode tooth enamel include Streptococcus mutans and Streptococcus sobrinus, whereas periodontal diseases are associated with increased populations of Gram-negative species, including Porphyromonas gingivalis, Campylobacter spp., and Treponema denticola, which produce endotoxins that cause the inflammation and gum tissue damage that lead to gum disease. “If S. mutans plays an essential role as initiator on caries disease, P. gingivalis is typically found on chronic periodontitis and has been proposed as the “keystone” microbe in periodontitis initiation, whereas F. nucleatum [Fusobacterium nucleatum] S. mutans plays an essential role as initiator on caries disease,” the researchers write. The CIAL team used cells that model gum tissue to test the effects of two red wine polyphenols, caffeic- and p-coumaric acids, as well as two commercially available red wine and grape seed extracts, on bacteria that stick to teeth and cause dental caries and gum disease. They also looked at the effects of combining the red wine polyphenols with Streptococcus dentisani, an oral microbiome species that is thought to act as an oral probiotic. Their test results indicated that the polyphenols inhibited S. mutans adhesion to the human fibroblasts by up to 40%. The two wine polyphenols were also more effective than the wine extracts at inhibiting bacterial adherence to cells. The ability to block bacterial adhesion was even more pronounced when the polyphenols were combined with the oral probiotic. “Results confirmed a complementary action of both caffeic acid and p-coumaric acid, and S. dentisani in the competence process against S. mutans adhesion,” the authors write.